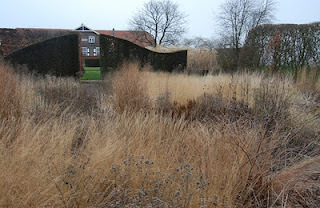 A busy weekend in the Oudolf studio, sorting out pictures and final details for the book I am doing with Piet. I’ve written the text over the last few months, now its the all-important images. Neither of us can remember how many we can use for the book but we’ll sort that out later. There seem an extraordinary number of pictures that Piet constantly looks through on the computer, we have a lot to choose from. Piet’s design work is very intuitive, his mind and thought patterns move fast, my job is to slow things down and clothe key thoughts in words. There are no design secrets, as Piet wants everyone in gardening and landscape to know ‘how to do it’, so the book will have lots of plan excerpts, and we are hoping we can find a way to put the whole plans online or make them available somehow to people who’ve bought the book. So, the endless ribbon of the New York High Line (note always to myself, not Highline) winds along the computer screen (a Mac of course), lots of projects in Netherlands now: waterfront in Rotterdam, some private gardens (good that the prophet is recognized in his own country) a park in Stockholm for public housing, a temporary planting at the Serpentine Gallery in London, for the Venice Biennale, a vast private garden on Nantucket. Ideas and new ways of combining plants constantly roll out onto big sheets of paper - there’s a discarded one from the pile by the studio woodstove on the windscreen of my car right now holding off the vicious Dutch frost. 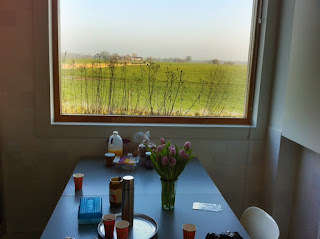 Ideas, ideas, ideas, plants, plants, plants. I have to find the words, words, words. This time I brought along Ye Hang and her husband Jingyu Cai. Ye is one of James Hitchmough’s doctoral students from Sheffield. She wants to translate our books into Chinese, but she has turned out to be so much more, a real third member of the team on picture selection. She has a good eye and is not afraid to speak her mind, the three of us take votes on pictures sometimes and take turns out-voting each other. Piet clearly thinks she is good and its nice to see him listening to her suggestions. Ye is the confident, creative, ambitious, commercial few face of China, full of plans for what she wants to do: a landscape company to do naturalistic planting, teaching, even a nursery in Jingyu’s home town on the North Korean border, where the local flora is apparently fantastic and hardly explored. The Oudolf studio is a new brick building, lovely high ceilings, plenty of light and space. There are some additional rooms, which can accommodate guests like us if need be, and a little kitchen - all very much like our own annex building in concept but contemporary rather than eco-. The room I’m staying in has some of Piet and Anja’s collection of Bloomsbury group ceramics and a wonderful Caucasian rug I remember Piet getting as payment of a job many years ago. The studio is increasingly becoming inhabited by ‘designer toyz’ - limited edition characters inspired by graffiti, comix, manga and other manifestations of urban street art. A whole new world to me. Its as if here, in the quiet and open countryside of eastern Holland they represent the gritty urban reality of the NYC and Chicago streets where Piet’s planting projects make a real green impact. I half wonder if they come alive when we turn the lights out. Weed control is what actually dominates my garden management. The west of Britain has such mild winters that many wild pasture grasses and things like creeping buttercup can grow almost all year round. If you live in the country chances are you'll have a massive 'weed seed bank' in the soil, so any soil disturbance brings up more seeds to germinate. Long-term, perennials form good solid clumps which tend to be weed-resistant and undisturbed soil develops a layer of moss which seems to reduce weed seed germination. At this time of year in the border, you can see some early Geranium phaeum and G. endressii growth and some evergreen Liriope, but the green haze is germinating grasses. Now is a good time to get on top of weeds, and then the rapid growth of perennials in spring will soon form a good solid canopy. Roundup is a fantastic tool for spot-spraying weeds, especially grasses, and of course bio-degradeable, Especially in the earlier phases of a planting's life. 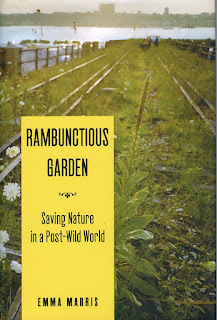 I know of a garden (actually an old churchyard) in Yorkshire, which is an incredible wild garden, maintained with a few hours spot spraying once a month - its over two acres I think. Flame-gunning weeds has been promoted of late - the organic lobby are quite keen on it as it does not use any 'nasty chemicals'. Actually of course its burning fossil fuel, and doing it on a big scale is nonsensical from a sustainability point of view. Very useful for burning off weed seedlings though when very small, larger shoots just get a mild scorching, so we use it a little bit. This is Diana, our wonderful WRAG trainee. Its a sort of precision version of the prairie burn - which here is usually impossible because debris never dries out enough. She's zapping goosegrass seedlings, which germinate early and can be a nightmare in herbaceous vegetation because they climb and smother everything. Seedlings of I'm not quite sure what - perfect for flame-gunning. If we have a few days of dry easterly winds thats ideal conditions for hoeing, but at any other time round here hoed off weeds just root back in as it is either so wet or humid. In the end, as plantings mature, the range of weed seed in the top layer of soil gets exhausted, and gradually increasing clumps of herbaceous dominate, so it becomes less of a problem, but I think I've still got quite a few more years of serious weed control yet. 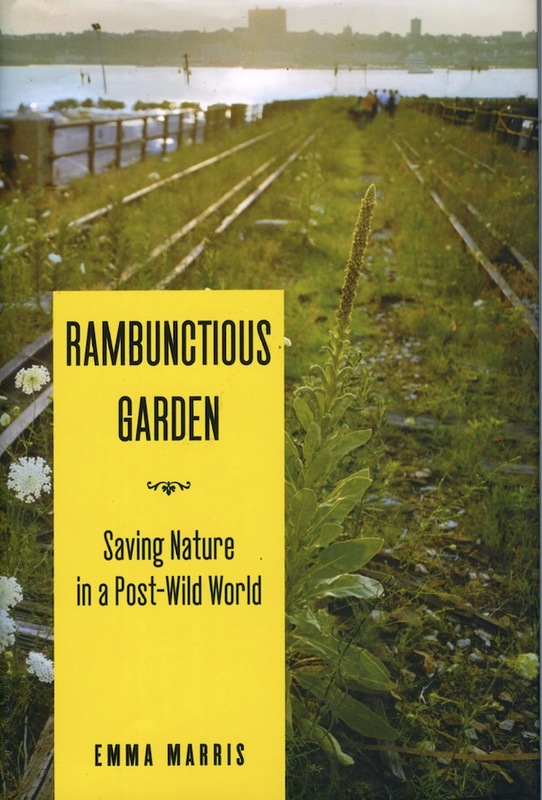 For those who don't garden in an Atlantic climate, you probably have no idea how quickly or how comprehensively pasture grasses can take over and completely suffocate all other plantlife, apart from brambles (their co-conspirators in garden overwhelming) and decent sized woody plants. Even let loose into other climate zones they can do a pretty good job of eliminating other plants too. 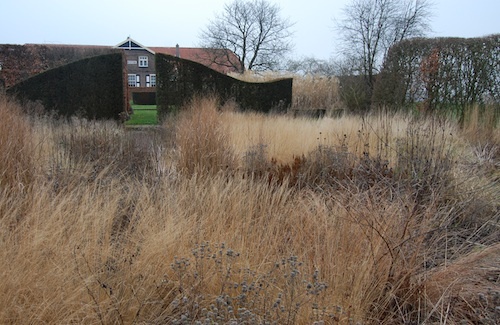 Some years ago I did experiment with growing perennials in rough grass, but the fact is that very few species will co-exist, primarily because of the ability of Atlantic climate grasses to grow at any temperature above freezing. I still do have an experimental area for this, but for the rest of the garden, it has to be serious weed control. 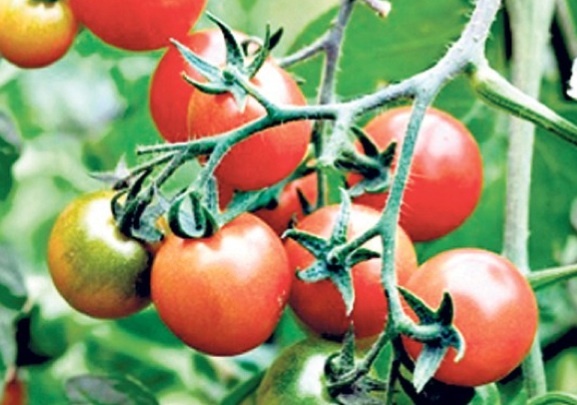 Tomato 'Losetto' resistant to late-blight. Just had this published in The Daily Telegraph. And its about more than tomatoes - but the whole business of breeding new veg varieties, and my pick of the most hopeful-looking ones for this season. While we are on veg, re. the last posting here, I opened with a pic of kale Redbor, well we've just had some and I was puzzled by its very poor flavour, then i remembered that the wisdom of the old guys who used to dominate allotments "dun eat that til its ad the frost on it". We haven't hardly had any frost this year, so they must be right.